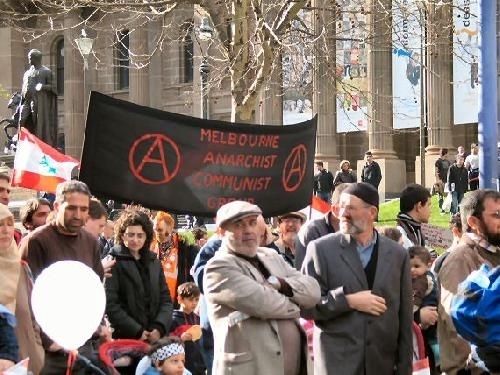 The MACG is an organisation of class struggle revolutionary anarchists who share political positions, articulated in theory, strategy and tactics. We aim to encourage struggle by the working class for its own interests and, within that struggle, we aim to advance Anarchist ideas as its necessary philosophical basis. To contact us, E-mail: macg1984 (at) yahoo (dot) com (dot) au .